Need a car warranty but confused about your options? You’re not alone. When you buy a brand new car, it typically comes with its own built-in warranty coverage. However, after that coverage expires, many are left wondering what to do. 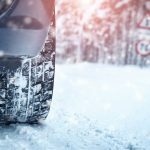 Some opt for no coverage, while the more responsible drivers seek the comfort and security they can only experience by purchasing a car warranty. What many don’t know is that after your original warranty expires, you still have warranty options. You may choose to go back to the original manufacturer of your vehicle and purchase a warranty from them, or you could purchase an aftermarket extended warranty, also known as an auto warranty, from a company such as A-Protect. There are many similarities between an A-Protect auto warranty and a manufacturer’s warranty. Both generally cover your repair costs, however, many report that manufacturer’s warranties can often be more limiting. The reasons vary but they frequently boil down to cost, choice and convenience. Generally speaking, with a manufacturer’s warranty, you’re only able to take your vehicle in for repairs at dealership locations. This often poses a challenge for busy, career-minded people who frequently don’t work near a dealership. With an auto warranty through a third party such as A-Protect, there’s typically far greater choice in repair shop locations. And, aside from that convenience, the actual coverage and cost can be quite different depending on what you select. An A-Protect auto warranty allows you to get customized coverage for less. You choose the deductible and the coverage plan that best suits your needs, and we’ll pick up your auto repair bills paying the repair shops directly. It’s that easy. And, you won’t have to worry about being limited by a manufacturer’s warranty placing restrictions on such things as wear and tear. If you want wear and tear coverage, or virtually anything else, it’s your choice. If you don’t want coverage for something, that’s also your choice and something you shouldn’t have to pay for. Of course, the other advantage is that by customizing your warranty coverage, you’re better able to plan today for what may happen tomorrow and the savings could be staggering. Why? 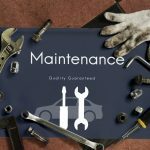 Because cars today come with more features than at any time in the past and that can translate into costly repairs that may or may not be covered by a standard warranty including those offered by a manufacturer. That’s why it’s always important to have the ability to make the choice and an aftermarket warranty through A-Protect gives you that option. 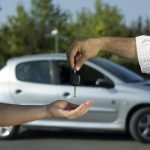 So if you’re still on the fence about whether you should purchase an auto warranty when your vehicle’s original coverage expires, you should consider the peace of mind, convenience, cost and choice, associated with many aftermarket auto warranties.